I remember it like it was yesterday. I was flying from Nairobi up to Mount Kenya, and down to Masai Mara. Below me a sea of grass, sweeping savannah plains and the occasional sight of African wildlife. When our plane landed, I could see mountains in the distance, towering over the rugged landscape, rising steadily up and into the clouds. As the winds began to blow, I closed my eyes for a moment. Breathing in and slowly out, it finally hit me. It wasn’t a dream. There I was- in the middle of Kenya. Known for its majestic wildlife, rich culture, history and natural beauty, Kenya is a hidden paradise that has much to offer its visitors. 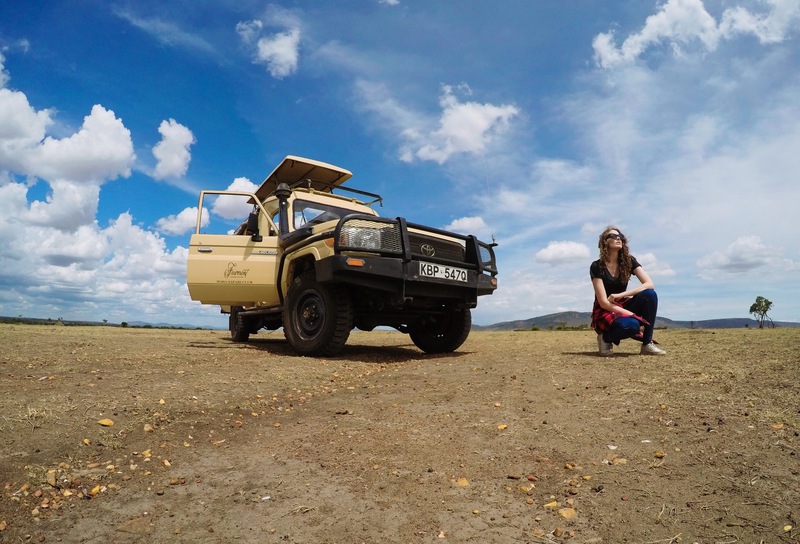 In partnership with Fairmont Hotels & Resorts, I spent five days with friends discovering three of their Kenyan locations: Fairmont The Norfolk, Fairmont Mount Kenya Safari Club and Fairmont Mara Safari Club, each with their own distinct uniqueness and flare. Our first stop was in the heart of Nairobi: Fairmont The Norfolk. Known as the best five star hotel in the city, it is considered to be a beloved landmark. Its construction dates back to 1904, and offers guests a sophisticated retreat with easy access to key business districts of Gigiri, Westlands and Upperhill in addition to leisure hubs and the growing Nairobi art scene. Composed of 27 luxurious suites and 143 rooms, its classic elegance and modern design mixed with discreet technology give guests a luxurious experience intertwined with the rich history of the city. If you’re a foodie, you won’t have to venture far to taste the flavours of the region. Fairmont The Norfolk offers superb dining options with local produce, authentic tastes and a variety of choices that include organically sourced beef, fresh sea food and vegan dishes. The award-winning Tatu restaurant offers warm hospitality in a contemporary African themed setting, while The Lord Delamere Terrace retains a classic charm as an all-day dining restaurant. Cin Cin welcomes guests to sip on signature cocktails and discover the extensive array of wines, whiskies and premium alcoholic beverages alongside an exquisite tapas menu, all while overlooking the tranquil garden. T Lounge is also a treasure worth tasting for guests who enjoy afternoon tea and wish to relax in an inviting and refined décor. From the comfort of our suites, we made our way to the Fairmont Mount Kenya Safari Club on day two. As a flight attendant, you can imagine how excited I was when I found out we were taking a Pilatus PC-12 NG private aircraft. Even more-so when I was permitted to sit in the flight deck! With magnificent views of majestic Mount Kenya, the Fairmont Mount Kenya Safari Club was the perfect escape from the hustle and bustle of Nairobi. Its 120 luxuriously appointed hotel rooms are set across 100 acres of landscaped gardens and rolling hills, giving visitors the chance to experience the great outdoors whilst enjoying a touch of luxury. The wide array of excursions and activities available (horseback riding, golf, croquet, a bowling green, table tennis, swimming, an animal orphanage and much more) gave us the chance to select how we wanted to enjoy our stay. Upon arrival, we were greeted by some of the locals in an equator ceremony. The resort itself falls on an equatorial line, meaning guests can visit the northern and southern hemispheres at the same time. We were also given a tour of the resort, which included a visit to the animal orphanage. Created to rehabilitate injured animals and to prevent extinction through breeding, the Mount Kenya Wildlife Conservatory is home to several species that include bongos, monkeys and tortoises. Visitors are able to interact with them while learning about the importance of conservation. On our third day in Kenya, we awoke bright and early to the sounds of cawing peacocks and a beautiful pink sunrise. I was filled with excitement as I got ready to ride into the heart of Kenya’s National Park by horseback. The opportunity to eat breakfast on the same terrain in which wildlife roamed was a memory that I will never forget, and is one available to all guests at the resort. Aside from breakfast in the wild, other dining options offered at Fairmont Mount Kenya Safari Club include Tusks Restaurant, which provides guests with a sophisticated indoor set up that extends onto a beautiful terrace. Its mountain views are gorgeous, and the menu boasts an abundance of offerings with food farmed from Central Kenya. Zebar is also an option for those looking for a great spot to unwind after a day of adventure. It features large windows overlooking the gardens, and a bar beverage selection of liqueurs, beers, soft drinks, cocktails, wines, spirits, tea and coffee, as well as a bar snacks. Lastly, the newly opened Colobus Restaurant is perfect for guests looking to enjoy a more romantic evening together. Its open grill concept allows visitors to watch chefs prepare their gourmet meals while taking in its elegant atmosphere and the sensual aromas of the flames from the kitchen. If relaxation is on the agenda for the day, eating poolside or from the comfort of your suite is a possibility too. Continuing on our Kenyan adventure, we hopped back onboard the Pilatus PC-12 NG aircraft once more, arriving at our final destination on our fourth day: Fairmont Mara Safari Club. We were well received by the Maasai people in a welcoming ceremony that had us (literally) jumping for joy. From their harmonious chants to their colourful clothing, it was truly a privilege to experience. After checking into Fairmont Mara Safari Club, we were driven to their home to see the Maasai‘s way of living for ourselves. With open arms, they greeted us again with another welcoming ritual and dressed us in their traditional clothing. The Maasai people live in ‘Kraals’, (almost like a tiny village) arranged in a circular fashion, surrounded by a fenced enclosure. This prevents predators from entering their homes. In Maasai culture, women are responsible for constructing and maintaining the houses as well as supplying water, collecting firewood and cooking for the family. Warriors stand guard, while boys herd livestock and elders are considered the directors or advisors for day-to-day activities. Returning to the resort, wanderlust got the best of me and I began looking around. Fairmont Mara Safari Club is surrounded on three sides by the breathtaking Mara River, so there is much to see. The luxurious Masai Mara accommodations are composed of 50 tents (yes, tents!) each with their own private veranda overlooking the hippo and crocodile-filled river. They also have a private bathroom, some with an outdoor shower. This enables visitors to enjoy a traditional safari experience with the comfort and amenities of a five star resort hotel. The main lodge of Fairmont Mara Safari Club acts as the center of camp where guests can enjoy dining in either The Dining Room, Lounge and Main Bar or poolside. Both breakfast and lunch are served buffet-style, while dinner is ‘Table D’Hôte’ with a choice of main course. No matter where you choose to go, the African inspired décor and evening musical accompaniment adds to the ongoing wilderness theme. Bush dinners or sundowners are also available to guests too, as well as other private dining experiences for those seeking a more intimate experience. 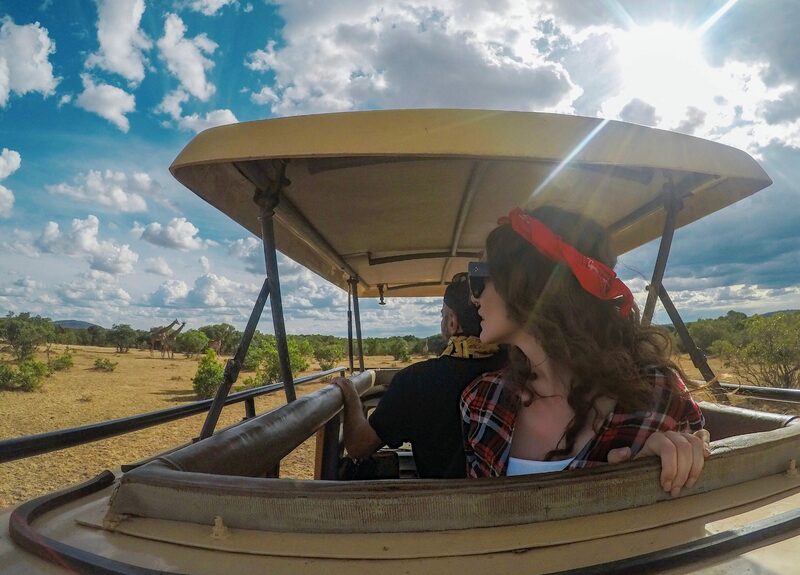 When it comes to excursions, Fairmont Mara Safari Club has many options available, including: game drives and balloon safaris over the Mara plains, champagne breakfast on the savannah or strolls in the hippo-trodden paths. The location of the resort itself is the perfect base for visiting one of the world’s richest wildlife reserves too, home to an array of animals including zebras, cheetahs, wildebeests, gazelles and the “Big Five”. We were very fortunate to see all of these incredible animals on our game drives into the wilderness! Our final day in Kenya was spent watching these incredible creatures roam free across the African savannah. I’d be lying if I said that this experience didn’t bring tears to my eyes. I will never understand why many of these beautiful species are headed towards extinction, and how we as humans can be ignorant to the fact that we are the ones responsible. Their natural habitats are slowly deteriorating and poaching in the region has endangered several species. Thankfully, efforts are underway to generate more awareness to this cause. It’s one thing to try and explain to you what it’s like to stare into a lions gaze, or to describe how elephants use their trunks to knock down trees in the wilderness, but its another to witness these events for yourself. I’ve visited a lot of places over the years, seen and done a lot of things, but these, these are the moments I truly live for. The ones I will miss the most, and the ones I will cherish forever. Thank you Fairmont Hotels & Resorts for giving me the chance to experience what Kenya has to offer. It really was a dream come true.